Selwyn’s Upper School, comprised of grades nine through twelve, focuses on preparing students for competitive college admission or success in whatever paths students choose. When we talk about college prep, we’re talking about our Upper School students having access to a wide variety of courses and electives that satisfy a broad range of interests and strengths. Throughout their Upper School experience, our staff and teachers continue to encourage independent thinking, self-confidence, and a lifelong love for learning. Interested in learning more about Selwyn? Start by scheduling a campus visit! Selwyn does not teach to state-issued standardized tests. Instead, students are expected to demonstrate their competence in literature, writing, foreign language, history, math, science, technology, and the arts. Our curriculum is grounded in the liberal arts, but continually evolves in response to new information and ideas. Our upper school students have access to fine arts courses, participate in the Perspectives Travel Program, and may take advantage of our Advanced Placement offerings. We encourage the exploration of different interests and disciplines, and believe that intellectual growth depends on the student’s ability to think logically and critically, read perceptively, and write articulately. Selwyn’s student-run government teaches social and leadership responsibility. Participating students learn to propose ideas, organize social events, practice rational discourse, and effect change, preparing them to become responsible citizens in a global society. In these four years, students have the opportunity to expand their passions and deepen their knowledge of the subjects they have been introduced to in their earlier years. While the core high school curriculum is solidly in place, Selwyn students also have the opportunity to take highly challenging classes such as The Science of Vector Born Diseases or the AP Capstone Program. Additionally, all Upper School students will take art, drama, music and Spanish. Most of Selwyn’s students decide to pursue a four-year college degree. Selwyn helps students and parents navigate the sometimes overwhelming college selection and application process. 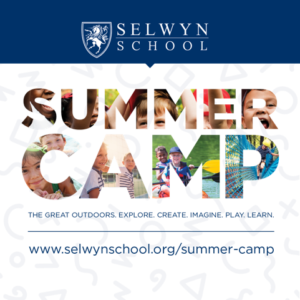 Our goal is for each student to find the college that will allow him or her to continue to develop the passions and interests they discovered at Selwyn School. Our academic advisors are experienced teachers and professionals with extensive experience advising students in this area.